On the previous article, we described Customer Reports and what inside Customer Reports. In this article, we will describe Product Reports in Magento 2 admin panel and five options of this report. What is Product Reports in Magento 2? The Product Reports in Magento 2 admin panel provide all information about products viewed and ordered, bestsellers, stock levels, and downloads. To open the Product Reports menu in admin sidebar, you have to click the Reports button. 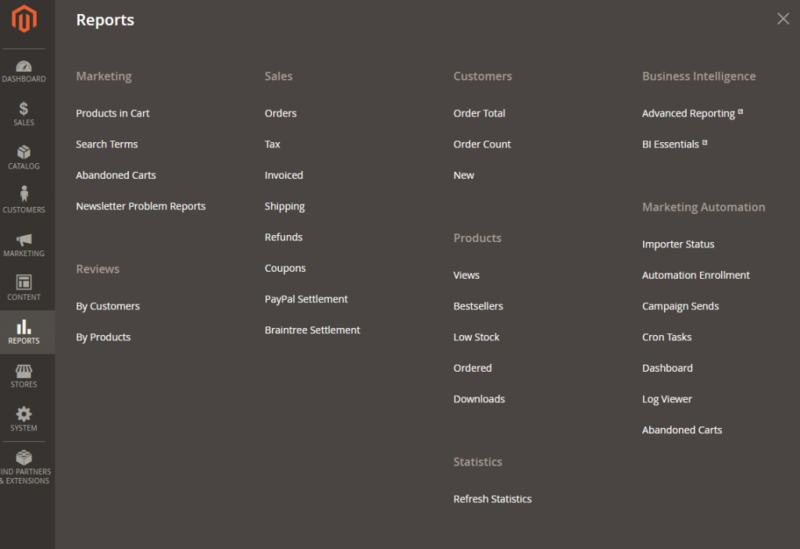 You will see the Product Reports menu in the third row of Reports Menu. There are five options inside Product Reports: Product Views, Bestsellers, Low Stock, Ordered Products and Downloads. 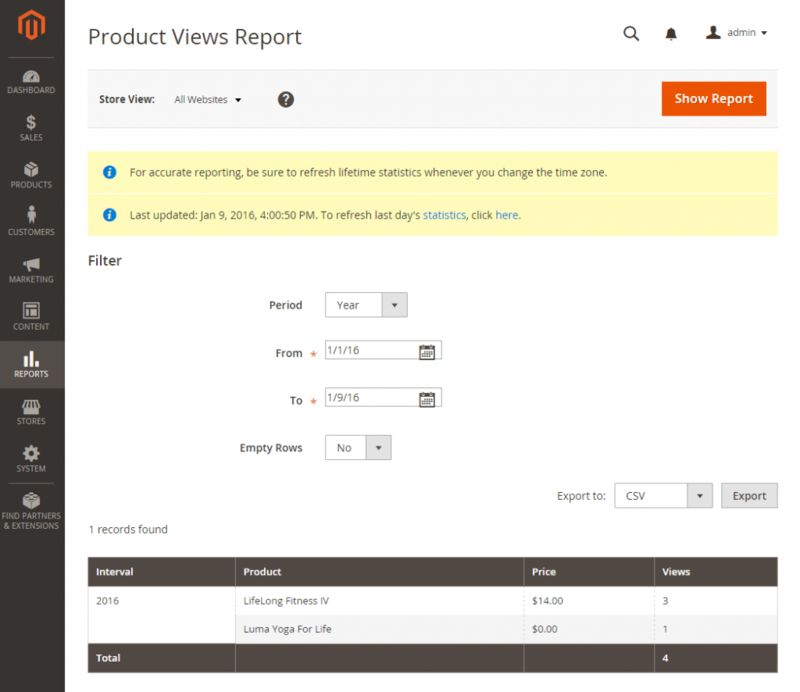 Product Views Report: Show the products that have been viewed during a time interval or range of dates. This report includes the product name, price, and the number of views. Bestsellers Report: List the five top-selling products during an interval of time or date range. This report includes the name of the product, price, and quantity ordered. Low Stock Report: This report is the list of all products with stock levels within a specified range. Ordered Products Report: This report is the list of all products ordered for a specified time interval or date range. In the table grid is the product name and quantity ordered. Downloads Report: This report provides the list of all downloads during the specified time interval or date range includes the product name, download link, and SKU, with the number of purchases and downloads. Above is an article about Product Reports in Magento 2 admin panel and five options of this report menu. We hope that you can track all product information effectively after reading this guideline. If you have any question, feel free to leave a comment or contact us directly. In the next article, we will describe New Relic Reporting in Magento 2 admin panel. Keep tracking Mageguides to read more Magento 2 guideline articles.